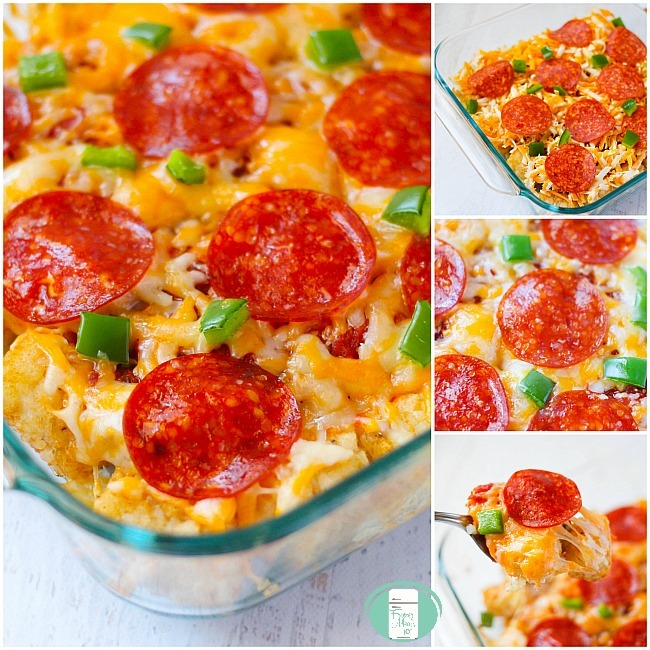 Freezer meals don’t get much more kid friendly than combining tater tots and pizza flavours. 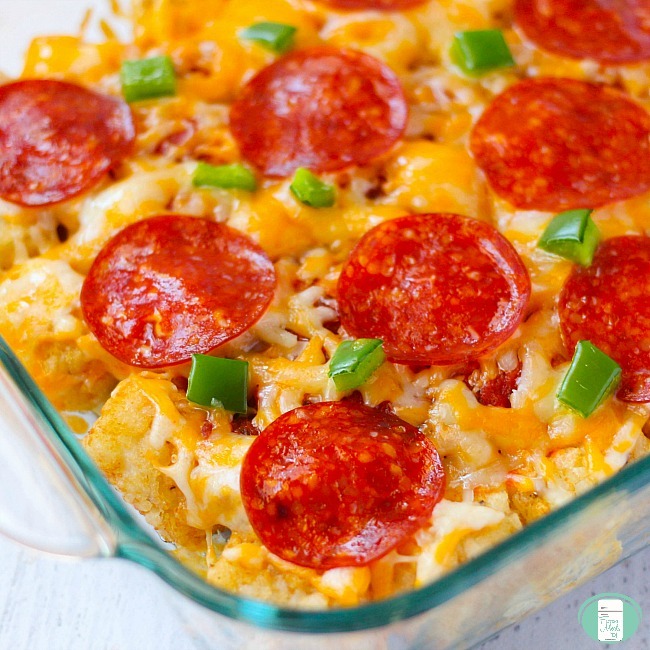 This Tater Tot Pizza Casserole can be made as a freezer meal or layered and cooked immediately. This recipe bakes in a square casserole dish, but can easily be doubled and made in a rectangular casserole dish. In a family our size, we always double it. 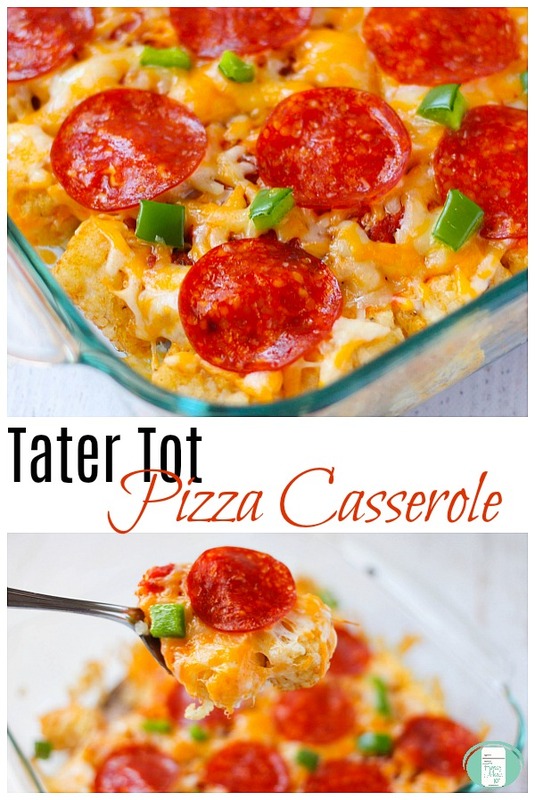 Our kids love tater tots and they love pizza. This one is always a hit! Place the frozen tater tots, tomato sauce, seasonings, pepperoni, and chopped green pepper in a large resealable bag. Remove the excess air and seal. Measure out the shredded cheddar cheese into a medium sized freezer bag and seal. Staple the bags together above the seal. On the cooking day, take the bag out of the freezer to thaw. Dump the contents of the large bag into a square baking dish. Sprinkle the cheese on top. Cover with tin foil. Bake at 400° for 30-35 minutes. If cheese is not fully melted, remove the tin foil and cook for another 5 minutes. 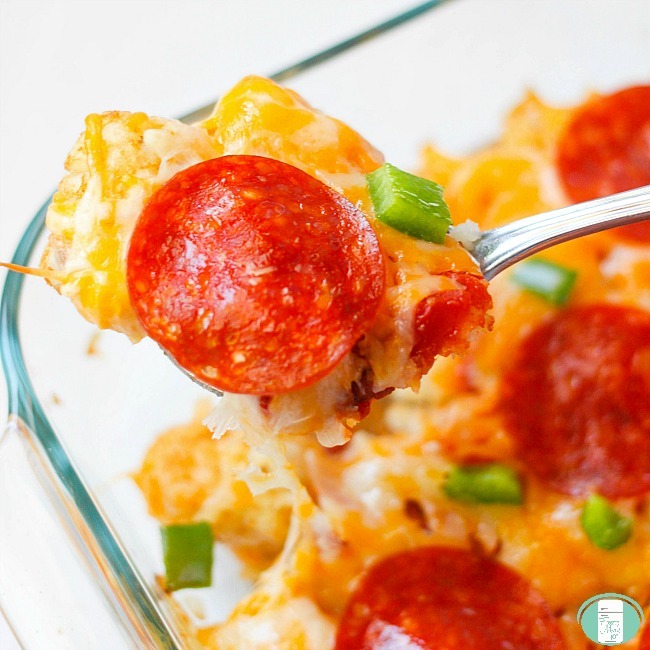 Lay the frozen tater tots in an even layer on the bottom of your casserole dish. In a small bowl, mix together the tomato sauce and seasonings. Spread the tomato sauce over the tater tots. Sprinkle the cheese on in an even layer and finish with your choice of pizza toppings. Cover with tin foil. Heat oven. Bake at 400° for 30-35 minutes. This recipe is so versatile. You can add sliced mushrooms, finely cubed ham, crumbled bacon, chopped onions, or diced tomatoes. 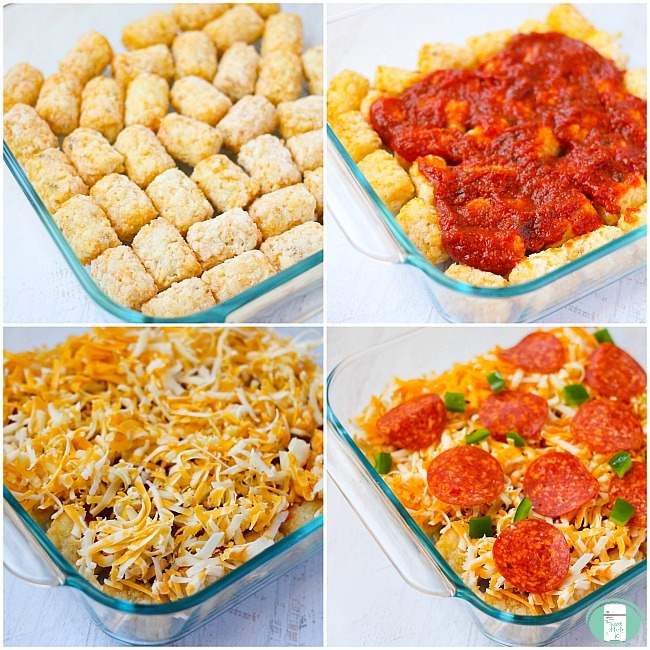 Whichever flavours you like on your pizza you can add to the tater tot casserole. 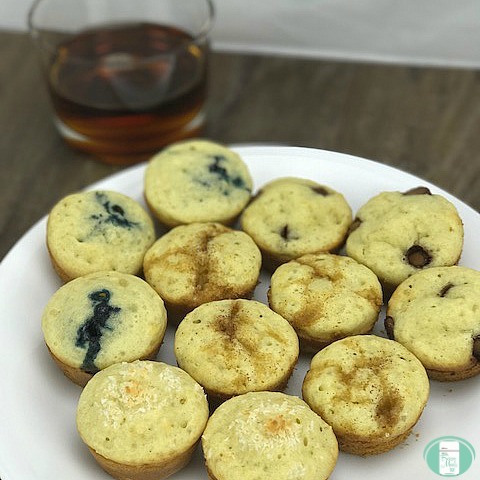 One of the greatest things about this recipes is that it’s so easy for little ones to help with it. They can dump the tots in the pan, spread the tomato sauce over the tater tots, and sprinkle on the toppings. If you made it ahead as a freezer meal, they can pretty much assemble the whole thing. Depending on their age, they may need help putting it into the oven. 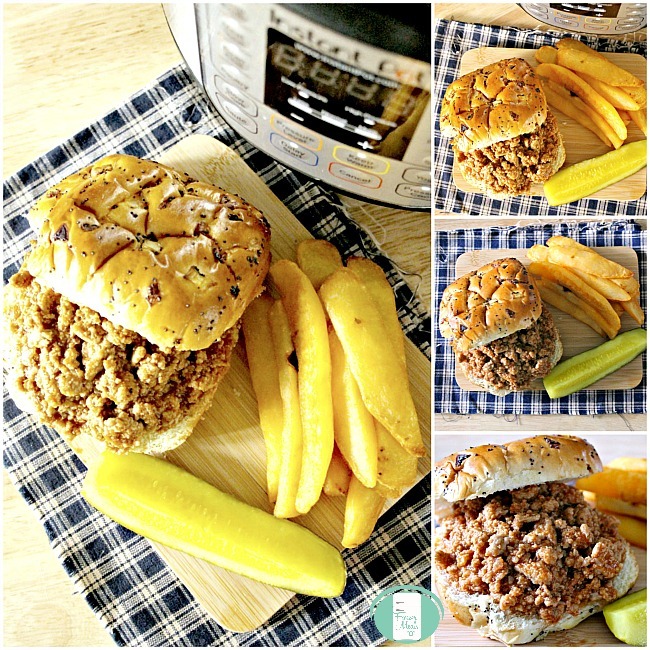 This recipe is a great way to give kids a bit of independence in the kitchen. Measure out the shredded cheddar cheese into a medium sized freezer bag and seal. Staple the bags together above the seal. On the cooking day, take the bag out of the freezer to thaw. Dump the contents of the large bag into a square baking dish. Sprinkle the cheese on top. Cover with tin foil. Bake at 400° for 30-35 minutes. In a small bowl, mix together the tomato sauce and seasonings. Spread the tomato sauce over the tater tots. Sprinkle the cheese on in an even layer and finish with your choice of pizza toppings. This recipe is so versatile. You can add sliced mushrooms, finely cubed ham, crumbled bacon, or diced tomatoes. Whichever flavours you like on your pizza you can add to the casserole.